While many love rock lobsters for its distinctive shellfish taste, there are some who enjoy these crustaceans for the rewarding catching process they require. There’s a different satisfaction you can get when you put personal effort into the food you place on your table. If you are into recreational lobster fishing, you would also want to comply with regulations to ensure that you can continue your hobby for a long time and even pass it to generations after you. 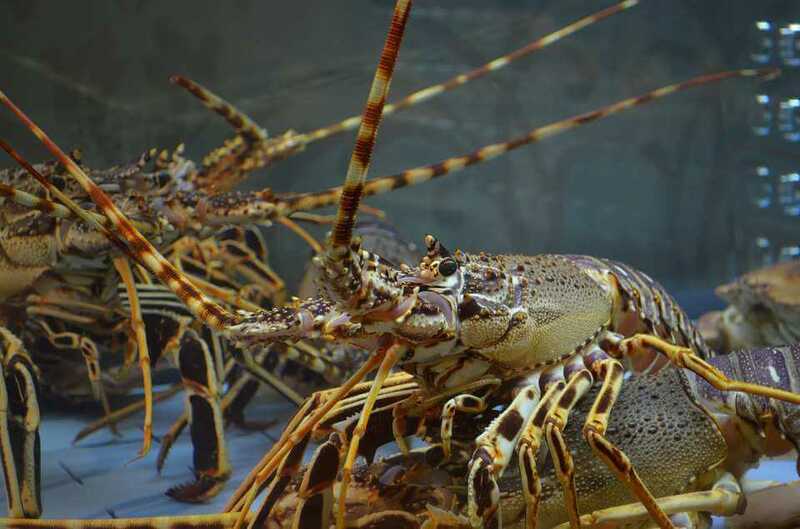 In Western Australia, the Department of Primary Industries and Regional Development have set guidelines that recreational lobster fishers can follow to keep the practice sustainable. The guide is handy, but it can be quite long. So, we’ve listed the essential things you have to remember if you’re planning to take this on as a hobby. If you’ve been fishing for rock lobsters for a while, you will still find something useful in this guide. Recreational fishers are now allowed to take female setose lobsters. Recreational fishers are now permitted to keep rock lobster tails (shell on) at their residence. There a simplified guide on pot specifications. Acquire a new licence or renew your existing licence through the Fisheries website. You can always visit their office to get your application forms. Keep in mind that you have to present your licence for recreational fishing of any rock lobster species when a Fisheries and Marine Office asks for it. Recreationally caught rock lobsters cannot be sold or exchanged for other goods or services. Season open 15 October – 30 June. You can take any species of lobster year-round. Keep in mind that there’s a night fishing ban. Between North West Cape and Cape Leeuwin, you are not allowed to pull pots or dive for rock lobsters from 7:30PM to 4:30AM on 15 October – 31 March (following year); and from 6:00PM to 6:00AM on 1 April – 30 June. The legal size limit for Tropical rock lobsters and Western rock lobsters is 76mm. On the other hand, if you happen to catch a Southern rock lobster, you are only allowed to take with at least 98.5mm carapace length. Aside from the aforementioned, there is no longer a maximum legal size limit for taking female Western rock lobsters. Bag limit – Each licensed fisher is allowed to bag eight rock lobsters, including no more than four tropical rock lobsters. Excess lobsters should be released immediately and carefully back to the water. Possession limit – You are only allowed to possess 24 rock lobsters per day. Keep in mind that you can only transport rock lobsters whole. You are not allowed to store tails away from your principal residence. Boat limit – Every licensed fisher on a boat is allowed to bag eight lobsters a day. The maximum number of allowable lobsters on board is 24. To be allowed the maximum number of rock lobsters, there should be three licensed fishers on board. No more than 12 tropical rock lobsters are allowed on board a day. Divers are not allowed to use nets, spears and similar devices to catch rock lobsters. They are only allowed to catch the lobsters by hand, a hand-held snare or blunt crook. Lobsters should be inspected in the water. On the other hand, Fisheries Officers may allow divers around five minutes to sort and inspect their catch on boat. Each licensed fisher is only allowed no more than two rock lobster pots. Up to six pots are allowed if there are at least three licensed fishers on board. Pots can only be set and pulled by licensed fishers. A rock lobster pot can now be shared by two licensed fishers. Every licensed fisher must attach their own float with their own gear identification number to a shared pot. Each licensed fisher can only use up to two pots to fish for rock lobsters, even when sharing pots. Make sure that your pots are compliant to the standards set out in the Fish Resources Management Regulations 1995. You can view the comprehensive guidelines on pots by visiting the Fisheries website. You are required to keep and store rock lobsters in whole (with head and tail). The only exception to this rule is if you are immediately consuming the lobster. On the other hand, you are now allowed to store lobster tails at your principal residence as long as you keep the shell on and that you do not transport them anywhere else. To tag your lobster as a recreational catch, you are legally required to clip at least the bottom half of the central flap on its tail fan. You can also punch a circular hole with at least 10mm in diameter. Must not possess any totally protected rock lobster, i.e. undersized, tar spot and berried lobsters, among others. You are not allowed to go rock lobster fishing in marine conservation areas. To get complete information on these areas, contact Fisheries or the Department of Biodiversity, Conservation and Attractions. Capstan winches to make pulling your pots super easy. We mount our cray pot tippers using stainless steel rod holders in the gunwales so they are easily removable and can hold your rods when not in use. We can even make your capstan winch removable by building a bracket that is mounted to the gunwales. This is very useful for fiber glass boats with narrow gunwales. If you need more information about the aforementioned boat accessories, give Wakemaker Marine a call today.